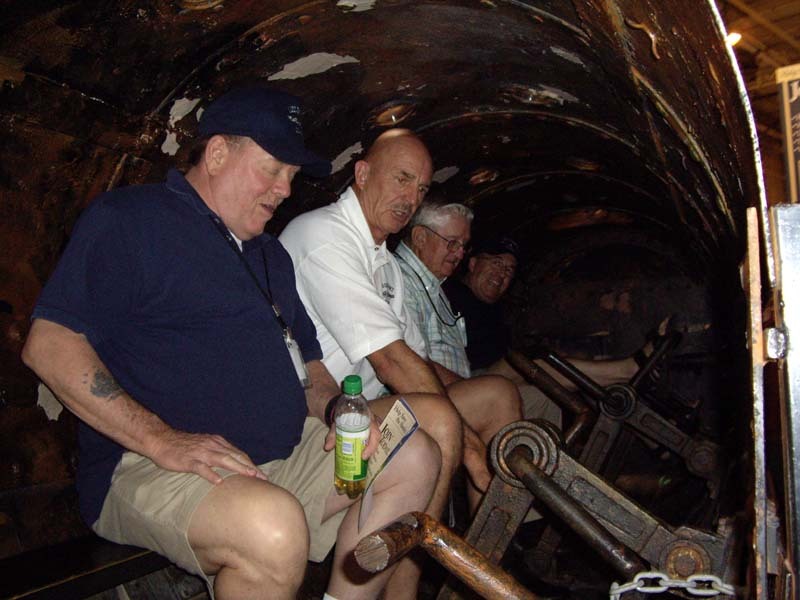 Reunion 2007 - Sennet's crew members in a model of the Confederate submarine Hunley - Hey, how do you back this thing down? 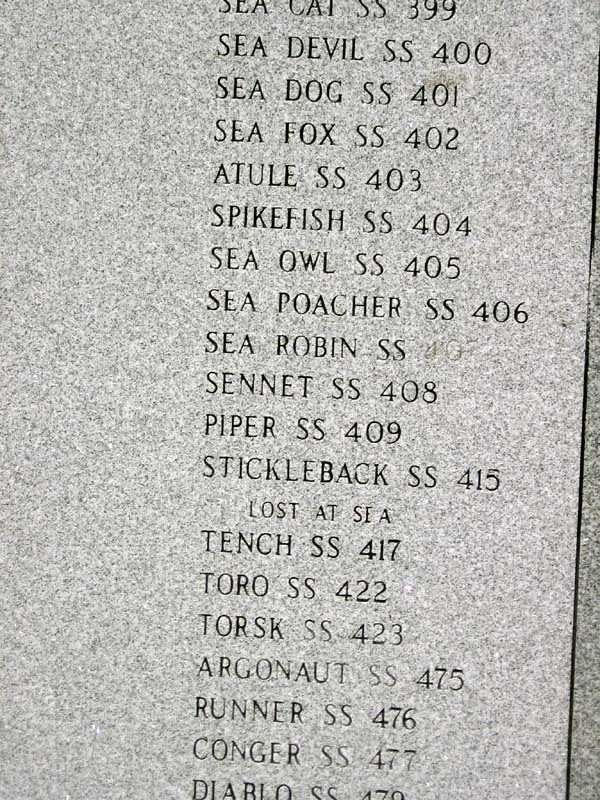 (Pollard) (sr07p886). 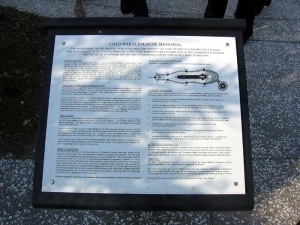 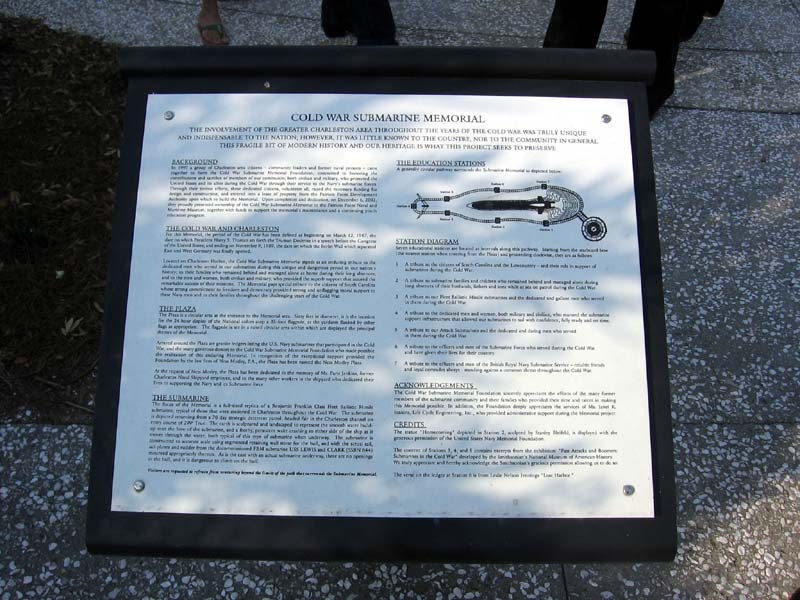 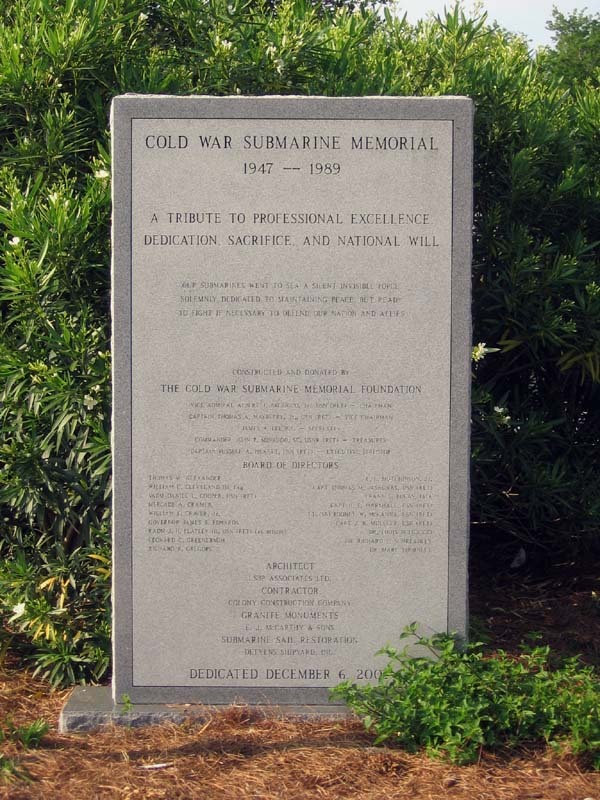 2007 - A plaque at the Submarine Cold War Memorial to recognize the families of submariners (Pollard) (sr07p892). 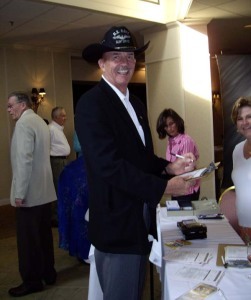 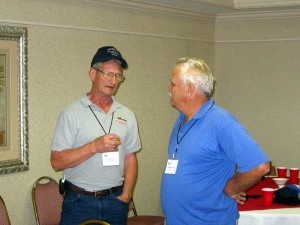 Reunion 2007 - TM3(SS) Jim Vernon (64-67) (Pollard) (sr07p898). 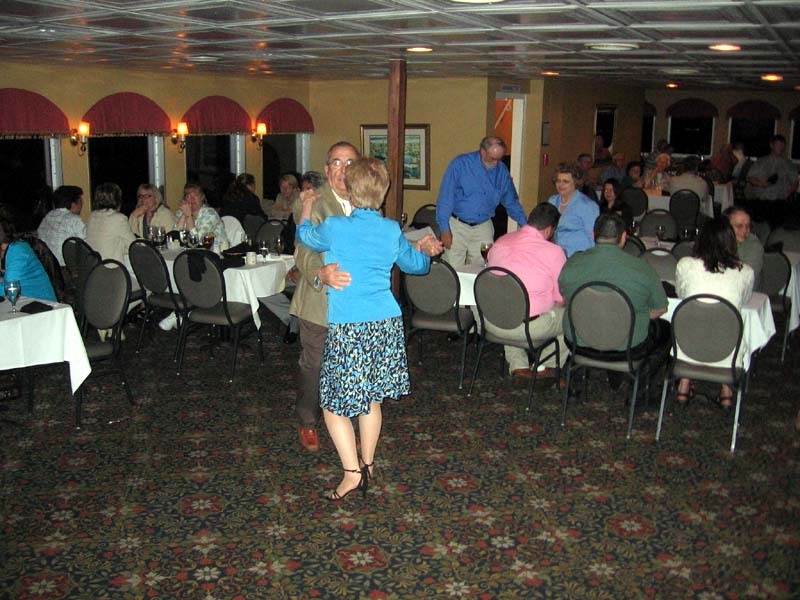 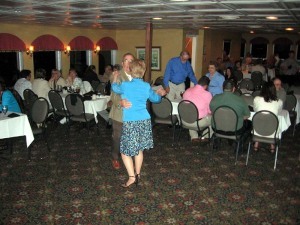 Reunion 2007 - STS2(SS) Bill Beggs (65-67) takes a turn around the dance floor with Pat Chinn during the dinner cruise (Vernon) (sr07v829). 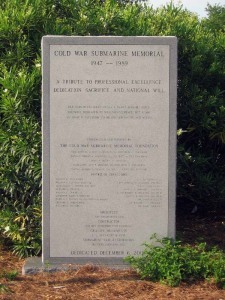 Patriot's Point 2007 - A monument in the Cold War Memorial Park (Vernon) (sr07v835). 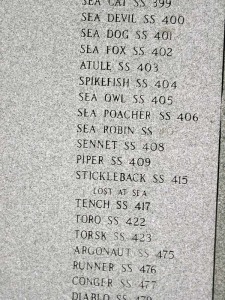 SENNET's name engraved on a marker at the Cold War Memorial at Patriot's Point in Charleston (Vernon) (sr07v841). 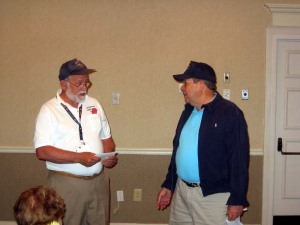 Reunion 07 - MM1(SS) Ralph Luther (64-68) presents awards (Vernon) (sr07v847). 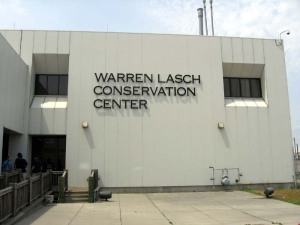 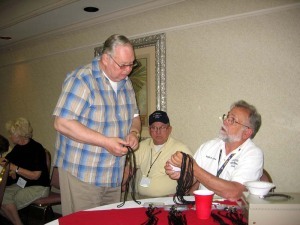 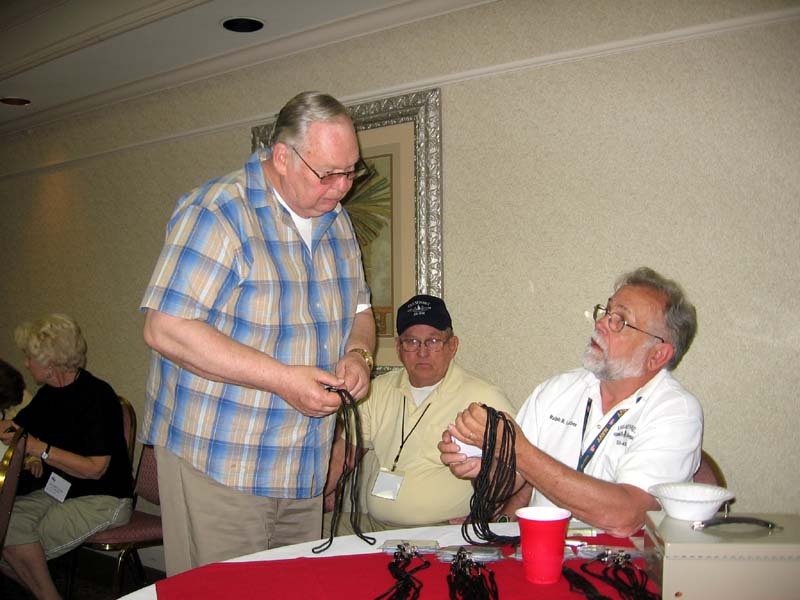 2007 - During our reunion we toured The Hunley museum and restoration facility (Vernon) (sr07v852). Reunion 2007 - QM2(SS) Stan Pollard (67-68) Decomm Crew and EN1(SS) Jeter Brock (62-64) (Vernon) (sr07v857). 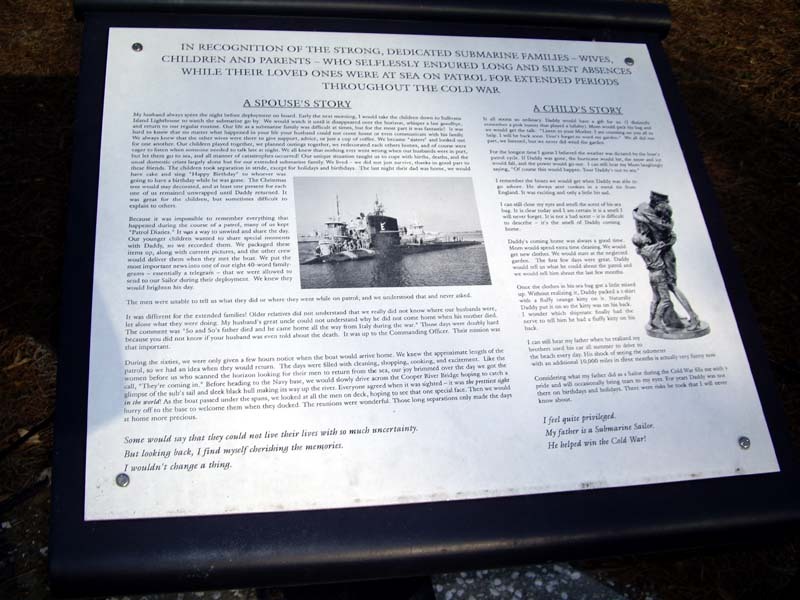 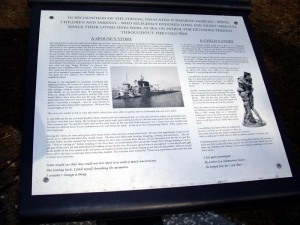 A plaque explaining the Submarine Cold War Memorial (Vernon) (sr07v865). 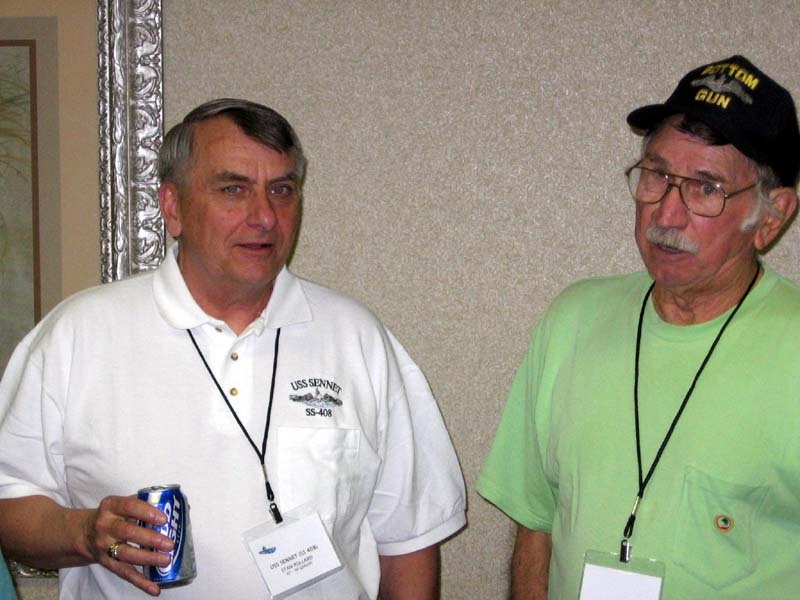 Reunion 2007 - EN3(SS) John Sperber (58-59) checks in with MM1(SS) Ralph Luther (64-68) Decomm Crew (Vernon) (sr07v871). 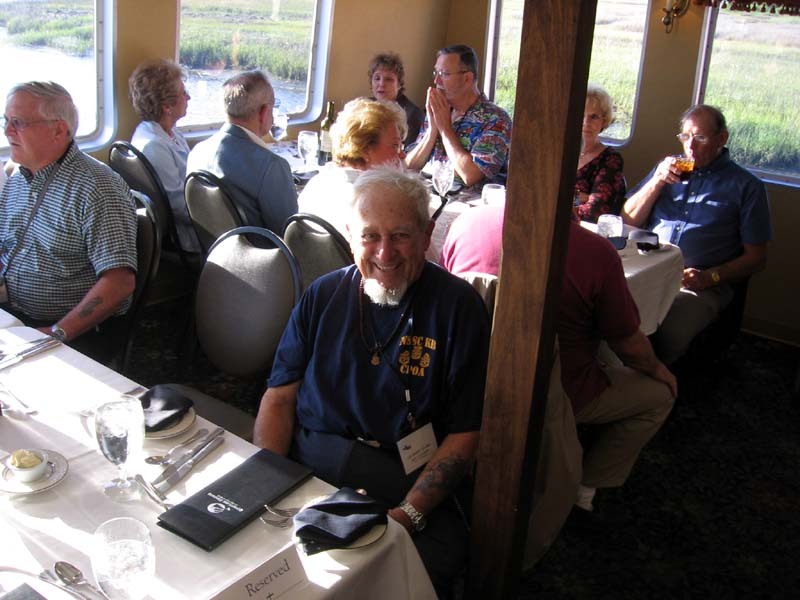 Reunion 2007 - Two ends of the spectrum - (L to R) EM1(SS) Dennis Harding (65-68) Decomm Crew and BMC(SS) "Panama Jack" Stevenson (44-45) Plankowner on the harbor dinner cruise (Vernon) (sr07v877). 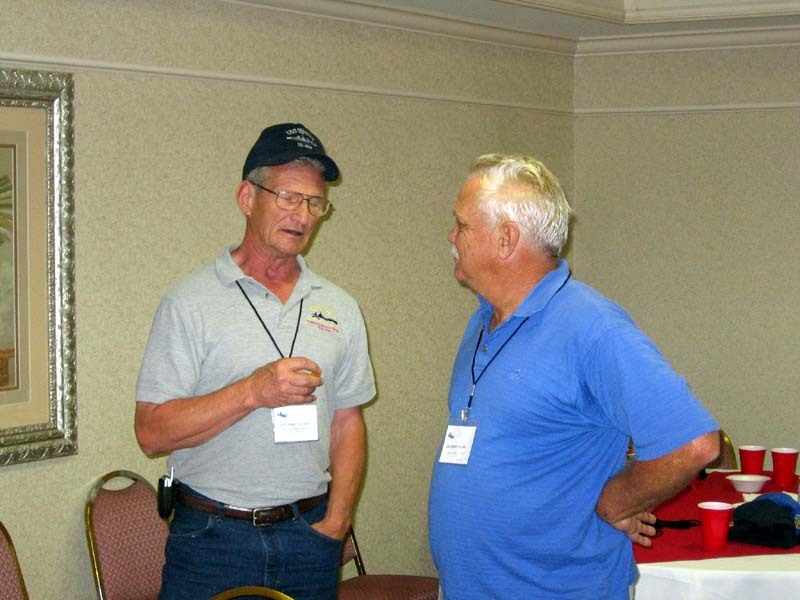 Reunion 2007 - MM1(SS) John McMichael talks with EN3(SS) Don Hagy (64-66) (Vernon) (sr07v883). 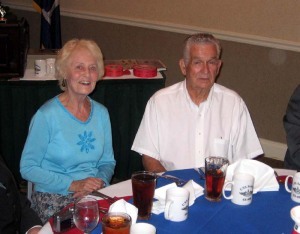 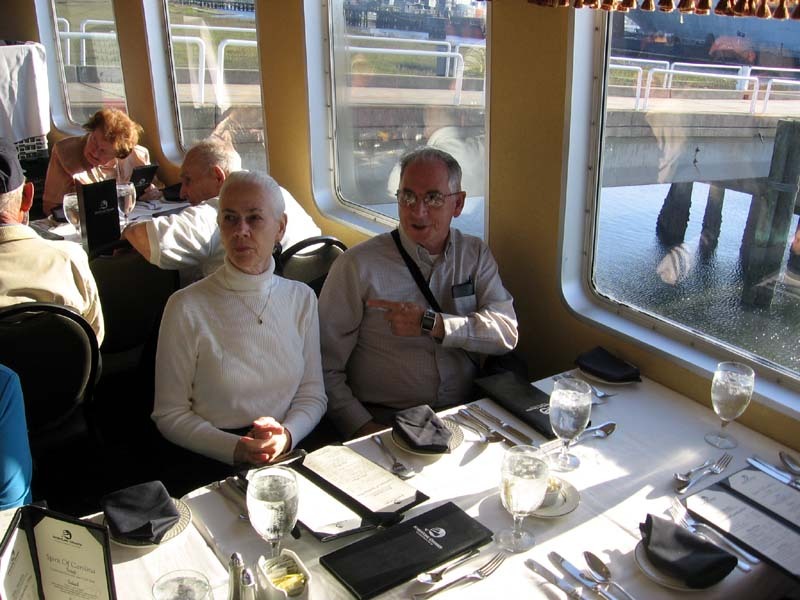 Reunion 07 - Mary and EMC(SS) Bennet Hale (66-68) Decomm Crew on the Chasn Harbor Dinner Cruise (Vernon) (sr07v903). 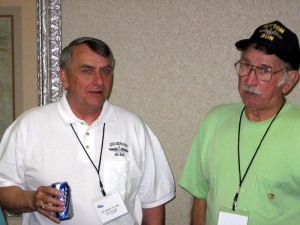 Reunion 07 - Pat and EN1(SS) Don Shoesmith (65-68) (Vernon) (sr07v909).